At the law office of Cori-Lynn S. Webber, LLC, our attorneys provide a personal level of attention to legal matters at a reasonable cost that you don’t get from larger law firms. Located in Windsor, Connecticut, we represent clients throughout Hartford County and the state of Connecticut. Attorney Cori-Lynn Webber founded our firm in 1998 to represent the people of surrounding towns in various matters and to advocate for injured workers and help them receive fair benefits. We are committed to developing close relationships with our clients and getting them the best possible resolution in their case. Our law firm takes a hands-on approach in every area of law we handle. Cori-Lynn Webber has extensive experience helping both employers and injured workers with workers’ compensation claims and other legal issues. Skilled business law attorney John Webber provides comprehensive business law services that include business planning, business formation operations and employment matters. 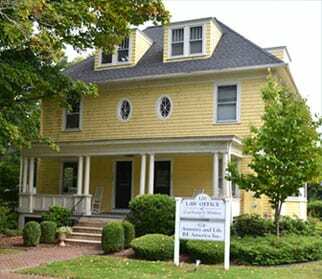 We also handle general practice matters, probate, wills and real estate issues in Connecticut. The workers’ compensation system is complicated. Serious workplace injuries require an experienced lawyer to help you through the process during this challenging time in your life. Cori-Lynn Webber is a board-certified workers’ compensation specialist and has been practicing in that area since 1998. As a former insurance company attorney, she understands how insurance companies think and what action to take to find you the best outcome. She attends and organizes multiple seminars to learn the medical issues that are critical to understanding these cases. This experience and knowledge of both legal and medical systems help attorney Webber and her team protect your rights and make sure you are being treated with the respect and fairness you deserve. Our attorneys understand the needs of business owners. John Webber has 26 years of experience as assistant and general counsel to corporations and knows what to do to address and resolve the full complement of business law issues your company will face. The details matter when it comes to your business. We will carefully evaluate your business needs and help you take the appropriate steps to protect your business goals now and in the future. We Care About Your Future. Call Us Today. At our law firm, you will receive friendly and knowledgeable service from attorneys and staff members who truly care about your specific situation. Call us at 860-683-1525 or contact us online to schedule a consultation.